Unabridged Bookstore is excited to continue our monthly series for 2019, #readingisresistance. Each month we feature a different title, either a new book or a classic text, that is relevant for one to remain informed, engaged and sane in these crazy political times. Read important books about what is happening in our world now. Read to escape, but also read to become informed. Read history books. Read current event books. Read as if your democracy depended on it, because it probably does. Reading is educating oneself. Reading encourages free thinking. Reading is the sharing of ideas. Reading is a political act. 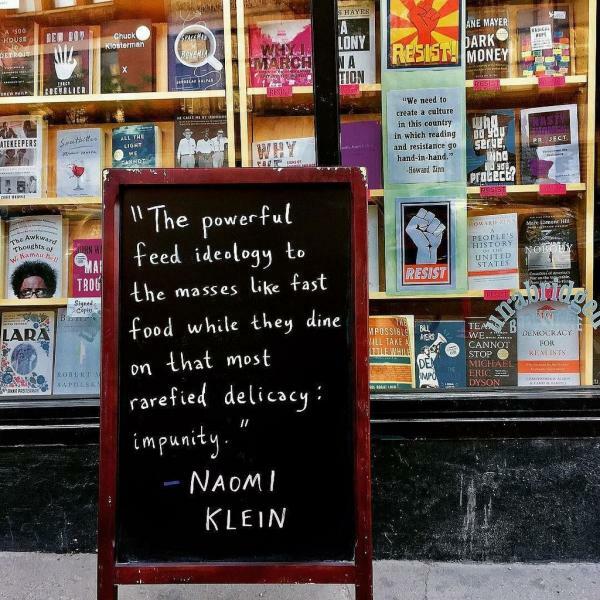 Reading is an antidote to cynicism. Reading recognizes demagoguery and rejects it. Check out this important essay by Aleksandar Hemon entitled, "Fascism is Not an Idea to Be Debated, It's a Set of Actions to Fight." 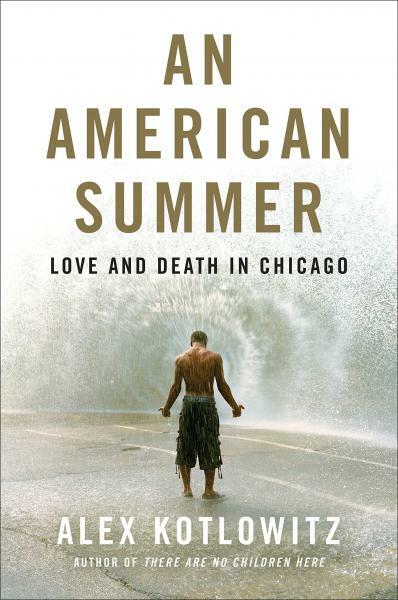 Kotlowitz has been writing about Chicago for decades, and this is perhaps his most intimate and powerful work to date. Exploring one specific time in Chicago -the summer of 2013- Kotlowitz unveils a series of completely immersive, heart-wrenching portraits of those affected by Chicago gun violence. Here, pervasive poverty and systemic racism often blur the lines between offender and victim, and the book raises important questions about community, gang culture, and privilege. This is the Chicago that most Chicagoans don’t know (or choose to ignore), yet Kotlowitz proves that it is as much a part of the fabric of the city as a Cubs game at Wrigley Field. Complicated, brutal, illuminating, and urgent, this is investigative journalism at its very best, a masterful work that is sure to inspire action. The writing may be Kotlowitz, but the voices contained within the book belong to those affected most by gun violence, and these voices cannot be ignored. Shane recommends! Signed copies availabe in store now! Clever and dynamic, She the People is informative, entertaining, and a vital reminder that women stillaren't fully accepted as equal citizens in America. Complex conversations around race, class, and gender that have been happening behind the closed doors of academia for decades are now becoming part of the wider cultural vernacular--one pithy tweet at a time. With these important online conversations, not only are Black women influencing popular culture and creating sociopolitical movements; they are also galvanizing a new generation to learn and engage in Black feminist thought and theory, and inspiring change in communities around them. The Rev. Dr. William J. Barber II has been called “the closest person we have to Martin Luther King Jr. in our midst” (Cornel West) and “one of the most gifted organizers and orators in the country today” (Ari Berman). In this age of political division and civic unrest, Rev. Barber’s message is more necessary than ever. This volume features Rev. Barber’s most stirring sermons and speeches, with response essays by prominent public intellectuals, activists, and faith leaders. Drawing from the history of social movements in the US, especially the Rev. Dr. Martin Luther King Jr.’s Poor People’s Campaign, Rev. Barber and the contributors to this volume speak to the most pressing issues of our time, including Black Lives Matter, the fight for a $15 minimum wage, the struggle to protect voting rights, the march for women’s rights, and the movement to overcome poverty and unite the dispossessed across all dividing lines. Grounded in the fundamental biblical theme of poor and oppressed people taking action together, the book suggests ways to effectively build a fusion movement to make America fair and just for everyone. As the child of refugees of World War II Europe and a renowned philosopher and scholar of propaganda, Jason Stanley has a deep understanding of how democratic societies can be vulnerable to fascism: Nations don’t have to be fascist to suffer from fascist politics. In fact, fascism’s roots have been present in the United States for more than a century. Alarmed by the pervasive rise of fascist tactics both at home and around the globe, Stanley focuses here on the structures that unite them, laying out and analyzing the ten pillars of fascist politics—the language and beliefs that separate people into an “us” and a “them.” He knits together reflections on history, philosophy, sociology, and critical race theory with stories from contemporary Hungary, Poland, India, Myanmar, and the United States, among other nations. He makes clear the immense danger of underestimating the cumulative power of these tactics, which include exploiting a mythic version of a nation’s past; propaganda that twists the language of democratic ideals against themselves; anti-intellectualism directed against universities and experts; law and order politics predicated on the assumption that members of minority groups are criminals; and fierce attacks on labor groups and welfare. These mechanisms all build on one another, creating and reinforcing divisions and shaping a society vulnerable to the appeals of authoritarian leadership. By uncovering disturbing patterns that are as prevalent today as ever, Stanley reveals that the stuff of politics—charged by rhetoric and myth—can quickly become policy and reality. Only by recognizing fascists politics, he argues, may we resist its most harmful effects and return to democratic ideals. Reading, The Marginalized Majority, is like sitting down on the couch with our favorite bourbon and your best friend who is, let's face it, a lot more daring and insightful than you, and having one of those amazing conversations that sticks with you for the rest of your life. Roychoudhuri knows her activist history and she has actually read Audre Lorde and James Baldwin, not just memorized a few popular quotes. But she uses this knowledge to engage, not alienate the reader, beacuase she understands the importance of collective power, and knows that there simply isn't time for apathy or silence. An inspiring and bold book...Shane recommends! Never Again: On February 14, 2018, seventeen-year-old David Hogg and his fourteen-year-old sister, Lauren, went to school at Marjory Stoneman Douglas High School, like any normal Wednesday. That day, of course, the world changed. By the next morning, with seventeen classmates and faculty dead, they had joined the leadership of a movement to save their own lives, and the lives of all other young people in America. It's a leadership position they did not seek, and did not want--but events gave them no choice. Why did democracy fall apart so quickly and completely in Germany in the 1930s? How did a democratic government allow Adolf Hitler to seize power? In The Death of Democracy, Benjamin Carter Hett answers these questions, and the story he tells has disturbing resonances for our own time. Benjamin Carter Hett is a leading scholar of twentieth-century Germany and a gifted storyteller whose portraits of these feckless politicians show how fragile democracy can be when those in power do not respect it. He offers a powerful lesson for today, when democracy once again finds itself embattled and the siren song of strongmen sounds ever louder. In THE ROAD TO UNFREEDOM, Timothy Snyder, author of the small but very successful On Tyranny, explains how democracies die when people cease to believe voting matters. The road to unfreedom is the passage from the politics of inevitability to the politics of eternity. Snyder examines and expands this idea, and how a society descends into totalitarianism, in 6 revealing, enlightening chapters that focus on a particular year and event: 2011--the return of totalitarian thought; 2012—the collapse of democratic politics in Russia; 2013—the Russian assault on the European Union; 2014—the revolution in Ukraine and Russia’s subsequent invasion; 2015—spread of political fiction in Russia, Europe and the U.S.; 2016—the election of Donald Trump. Informative, provocative and essential reading. ED LOVED AND HIGHLY RECOMMENDS! With the sheer abundance of new books responding to our current political crisis, it's difficult to distinguish between those that are just cashing in on the chaos versus those that are truly relevant. How Democracies Die is the latter. In it, professors Steven Levitsky and Daniel Ziblatt show how democracies have collapsed throughout history, creating a framework to draw parallels to the United States and Trump. They also reveal what we can learn from countries where autocracy has risen out of the ashes of democracy. This demise of democracy, they argue, rarely happens with a bang, but instead happens incrementally, and relies on the normalization of these overt and covert changes. Trump is merely a symptom and not the cause, they believe, and democracy can only survive and thrive with the active engagement and participation from its citizens. This work may be scholarly, but it is not written for academics. It's written for concerned citizens. Insightful, provocative, accessible, and sometimes downright disturbing, this book is essential for anyone looking to make sense of this mess. There are no easy answers, and this book doesn't pretend to have them. But it's a great place to start. TFIH brilliantly charts the devastating descent of a hopeful, post-Soviet Russia into totalitarianism, from Perestroika in the 1980s to the current rise of President Vladimir Putin and his new brand of autocracy (and the re-emergence of the haunting specter of "Homo Sovieticus," the gloomily obedient citizen craving authoritarianism.) In addition to this straightforward, historical account Gessen tracks the rise of totalitarianism through the lens of four individuals… a deeply personal, dramatic and engaging narrative that charts the lives of four people born at the time communism fell (including Lyosha, a homosexual academic battling an extremely intolerant, homophobic Russian society!) This intimate, unflinching look at the legacy of Stalin, the danger of nostalgia, and Russia in the post-Soviet period is brilliant, somber, urgent, alarming, riveting. At this particular moment in history it serves as a dire warning, essential reading for anyone trying to understand the earthshaking events of our time. ED LOVED and HIGHLY RECOMMENDS!! NOTES ON A FOREIGN COUNTRY is Suzy Hansen’s coming-of age-travelogue/geopolitical memoir, filled with her detailed and evocative descriptions of people and places, drawing on history, her own travels and reading (including the writings of James Baldwin), trying to make sense of her own country (America) from afar (Turkey). Her book is a deeply honest and brave portrait, the tone both insistent and intimate, personal and political, anecdotal and historical. She takes us through complex histories while coming to her own personal reckoning with her country’s violent role in the world. It is a meditation on American identity in an age of American decline, on American empire, on American ignorance and naivete, and on the idea of American exceptionalism. Unsettling and remarkably revealing, NOTES ON A FOREIGN COUNTRY is the one book I wish every American would read this year! ED LOVED AND HIGHLY RECOMMENDS—MY FAVORITE NON-FICTION BOOK OF THE YEAR!! In The Second Amendment, Michael Waldman traced the ongoing argument on gun rights from the Bill of Rights to the current day. 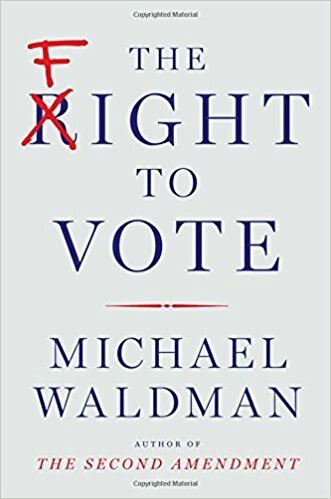 Now in The Fight to Vote, Michael Waldman takes a succinct and comprehensive look at a crucial American struggle: the drive to define and defend government based on “the consent of the governed.” From the beginning, and at every step along the way, as Americans sought to right to vote, others have fought to stop them. This is the first book to trace the full story from the founders’ debates to today’s challenges: a wave of restrictive voting laws, partisan gerrymanders, the flood of campaign money unleashed by Citizens United. Americans are proud of our democracy. But today that system seems to be under siege, and the right to vote has become the fight to vote. In fact, that fight has always been at the heart of our national story, and raucous debates over how to expand democracy have always been at the center of American politics. At first only a few property owners could vote. Over two centuries, working class white men, former slaves, women, and finally all Americans won the right to vote. The story goes well beyond voting rules to issues of class, race, political parties, and campaign corruption. It's been raw, rowdy, a fierce, and often rollicking struggle for power. Waldman’s The Fight to Vote is a compelling story of our struggle to uphold our most fundamental democratic ideals. In designing an ideal country, high life expectancy, good health, the absence of poverty, education, democracy and the rule of law are all important, but ANGUS Deaton suggests HEALTH and WEALTH are the 2 most essential components of WELLBEING. To measure if the world is a better place than it used to be, people should be measurably healthier (live longer) and wealthier. In THE GREAT ESCAPE, Angus Deaton take a historical/economic look at the health and wealth of nations, looking at the worldwide distribution of WELL-BEING, seeing who has made “the great escape” from destitution and who hasn’t, and where and why the “inequality gap” is widening. Deaton, winner of the 2015 Nobel Prize in Economics, makes the ideas of development, progress, life expectancy, health care, inequality and world poverty accessible and fascinating (even if you are not a policy wonk! ), and he does this without a political agenda, making what he presents EXTREMELY IMPORTANT (essential!!) to framing the current discussion of health care in our country, without all the political noise. ED LOVED AND HIGHLY RECOMMENDS!! In Demagoguery and Democracy, Patricia Roberts-Miller does for demagoguery what Hannah Arendt did for evil in Eichmann in Jerusalem. She takes a familiar concept that seems straightforward and obviously detestable, and she challenges her readers to understand it for its complexity, and more importantly, to see how connected we all are to it. Demagoguery and Democracy is one of those rare books that is simultaneously approachable and complex, timely and timeless, and absolutely indispensable for understanding not just how to confront demagoguery, but also how to strengthen democracy. A small city wrenched by the worst of what a mighty recession metes out does not have a single fate; in JANESVILLE, Amy Goldstein gives us a glimpse into the individual fate of many of Janesville’s citizens when the GM auto plant closed there in 2008 at the beginning of the Great Recession. Like Barbara Ehrenreich’s NICKEL AND DIMED and George Packer’s THE UNWINDING, Goldstein goes beyond the macro, economic collapse of Janesville and introduces us to an array of characters, telling her story through the voices of factory workers, educators, business and community leaders, and politicians (notably Paul Ryan and Wisconsin governor Scott Walker). The result is fascinating, heartbreaking, and very enlightening, an indictment of our inadequate political response to unemployment, health care, job training, and even access to food, as a community fends for itself to survive. ED LOVED AND HIGHLY RECOMMENDS! JUST MERCY is an intense, emotional reading experience about one man’s fight against injustice in America, one that appealed to my intellect as well as my heart—I haven’t been so viscerally moved, so upset, by a book in years! Bryan Stevenson confronts head-on a criminal justice system that has proven itself brutally unfair and cruel, one that is racially biased and discriminates against the poor; through his EQUAL JUSTICE INITIATIVE in Montgomery, Alabama, he has for years been assisting clients on death row, trying to overturn their death penalty sentences, freeing people who are wrongfully convicted, challenging excessive punishments, helping disabled prisoners, and assisting children incarcerated in the adult system. The individual stories he tells here are infuriating, riveting, shocking examples of American injustice; but Stevenson’s monumental efforts to right these wrongs, his clarity and determination, the sheer nobility of his cause, give the reader hope that justice and mercy can prevail. JUST MERCY is a brilliant book…please give it your consideration. ED LOVED AND HIGHLY RECOMMENDS!! Voter suppression and the right-wing/republican assault on our democracy turns out to actually be WORSE than I had imagined, as I found out reading Zachary Roth’s enlightening, well-researched and straightforward THE GREAT SUPPRESSION. The assault is real, it is well-funded, and it has been in the making for years. This book is an urgent wake-up call, a fascinating, blistering account of the concerted attempt by the right to subvert the democratic process in our country, and should be required reading for anyone wishing to understand what our voting democracy is up against, and what we need to do to save it. ED LOVED AND HIGHLY RECOMMENDS!! •Protect our culture from the degrading effects of Trump’s presidency, which rewarded bullying, sexism, racism, and xenophobia. •Protect our communities from Trump’s personal attacks, which he and his Republican friends target at women, people of color, youth, immigrants, Jewish people, Muslims, and others. 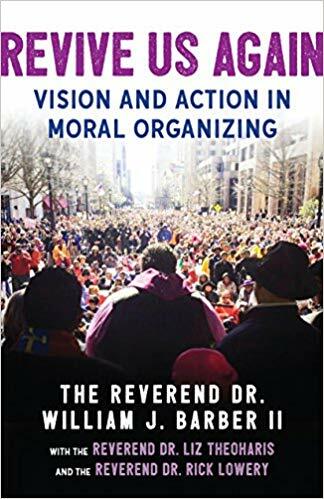 •Fight for our values and the issues that define us—in the face of a four-year assault on racial justice, income equality, the environment, women’s rights, education, and worker’s rights. •Build the infrastructure this movement needs (and sorely lacks), including the capacity to register and get out the vote for the 97 million Americans who didn’t cast a ballot in 2016; to find, train and promote tomorrow’s leaders; and to develop the media organizations that will report the facts and promote our values and candidates. I n Life’s Work, an outspoken, Christian reproductive justice advocate and abortion provider (one of the few doctors to provide such services to women in Mississippi and Alabama) pulls from his personal and professional journeys as well as the scientific training he received as a doctor to reveal how he came to believe, unequivocally, that helping women in need, without judgment, is precisely the Christian thing to do. We are in an age of epic political turbulence in America. Old hierarchies and institutions are collapsing. From the election of Donald Trump to the upending of the major political parties to the spread of grassroots movements like Black Lives Matter and $15 Now, people across the country and across the political spectrum are reclaiming power. Are you ready for this age of bottom-up citizen power? Do you understand what power truly is, how it flows, who has it, and how you can claim and exercise it? Eric Liu, who has spent a career practicing and teaching civic power, lays out the answers in this incisive, inspiring, and provocative book. Using examples from the left and the right, past and present, he reveals the core laws of power. He shows that all of us can generate power-and then, step by step, he shows us how. The strategies of reform and revolution he lays out will help every reader make sense of our world today. If you want to be more than a spectator in this new era, you need to read this book. In Rules for Resistance, writers from Russia, Turkey, India, Hungary, Chile, China, Canada, Italy, and elsewhere tell Americans what to expect under our own new regime, and give us guidance for living—and for resisting—in the Trump era. Advice includes being on the watch for the prosecution of political opponents, the use of libel laws to attack critics, the gutting of non-partisan institutions, and the selective application of the law. Enter Donald J Trump and his team of advisors. For them, as Gladstone writes, lying is the point. The more blatant the lie, the easier it is to hijack reality and assert power over the truth. Drawing on writers as diverse as Hannah Arendt, Walter Lippmann, and Jonathan Swift, she dissects this strategy out of the authoritarian playbook and shows how the Trump team mastered it. She analyzes Trump tweets including the "diversion tweet," the "trial ballloon tweet," and the "deflection tweet." Radical Hope is a collection of letters—to ancestors, to children five generations from now, to strangers in grocery lines, to any and all who feel weary and discouraged—written by award-winning novelists, poets, political thinkers, and activists. Provocative and inspiring, Radical Hope offers readers a kaleidoscopic view of the love and courage needed to navigate this time of upheaval, uncertainty, and fear, in view of the recent US presidential election. Ed loved this practical, inspirational book that is both a memoir and an activist handbook. Reverend Barber is involved in the struggle for justice in North Carolina, at the forefront of the resistance, building a new justice movement with a fusion coalition of people committed to America’s third reconstruction (the first was after the civil war; the second was the civil rights movement of the 60’s), following in the footsteps of Martin Luther King, jr. He organizes and mobilizes for collective action, taking a stand AGAINST systemic injustice in America: the wealth divide, the legacy of slavery, racism, militarism, homophobia. He believes in a moral movement toward justice (that also includes non-religious people), fighting FOR workers’ rights, voting rights, civil rights, LGBTQ rights, and women’s access to healthcare with FUSION COALITIONS that are “radically inclusive”, pursuing “militantly pro-labor, pro-justice, anti-racist, anti-poverty solutions.” The Third Reconstruction reads as a primer on how to successfully fight the radical right, including a 14-point mobilization plan. Ed highly recommends!! THE NASTY WOMEN PROJECT is an invaluable collection of heartfelt and courageous voices from American women that is sure to rouse and inspire. All proceeds from the sale of this book go to Planned Parenthood! T oday, with economic inequality rising, the middle class collapsing, and power increasingly concentrated in the hands of economic elites, our middle-class constitution is at risk. Steps must be taken to preserve middle-class America or the united states will cease to be a democracy, says Vanderbilt law professor (and former Elizabeth Warren policy director) Ganesh Sitaraman, author of The Crisis of the Middle-Class Constitution: Why Economic Inequality Threatens Our Republic. This provocative, compelling, even thrilling book, fusing political philosophy, history and economics, gives a historical context to our present problem: the collapse of the middle class, the number one threat to American constitutional government today. If we want to preserve our republic, the only sustainable answer is to rebuild our middle class; this important book is a monumental achievement providing a bold, historic vision that can ignite our collective imagination and frame the debate about solutions. Ed loved and highly recommends. ON TYRANNY is a small, succint primer listing "twenty lessons from the twentieth century" to consider when contemplating our current, imperiled political order. The book's message: It CAN happen here but we CAN prevent it. We need more writers like Timothy Snyder, and more discerning readers to engage in the political act of reading books like this! 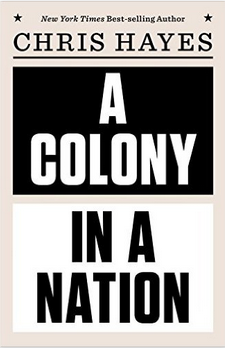 A COLONY IN A NATION is a welcome addition to the current literature dealing with racial inequality, privilege, and the American Criminal Justice System. Hayes argues that there are really two Americas- a nation, where Americans are treated as citizens, and a colony, where people are treated as colonized and where policing resembles occupation. His brilliantly argued critique of “white fear” is essential reading, and Hayes helps reframe our thinking on the politics of American crime and punishment. A compelling, urgent read! TEARS WE CANNOT STOP is a powerful work of cultural analysis. It is a cry from the heart, a lament, an urgent book in the vein of James Baldwin's THE FIRE NEXT TIME and Martin Luther King's WHY WE CAN'T WAIT, told with righteous anger and unflinching honesty. 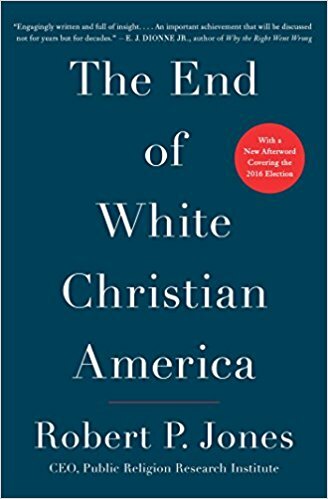 It is moving, challenging, sometimes uncomfortable and provocative, covering the ideas of white privilege, the culture of whiteness, the power of language, black subjugation, the myth of white history as American history, and personal reparations, complete with an amazing reading list to encourage further learning. Read and be prepared to be changed. HOPE IN THE DARK is Rebecca Solnit’s rallying cry for activism, her well thought-out, well-argued case for hope in transforming society. Martin Luther King spoke of an “infinite hope,” and Solnit explains its importance and how to maintain it, not as a substitute for action, but as a prerequisite for it. Howard Zinn said the “struggle for justice should never be abandoned because of the over-whelming power of those wo have the guns and money,” and Solnit argues that to maintain in hope is the opposite of powerlessness, that resistance begins in the imagination, that hope generates struggle which generates more hope, that hope is a rejection of inaction and defeatism, that hope sustains activism. This is truly an important book for our times! THE FIRE NEXT TIME is a brilliant, searing, intensely personal document, written in the form of a letter (2 letters, actually,1 short and 1 much longer) that gives voice to the disturbing/ongoing consequences of racial injustice in America. Full of passion and eloquence, it is especially relevant today some 50 years after its initial 1963 publication. It is an indictment of, and an exhortation to address, racism’s terrible legacy, and the continued enslavement of black people in America, 100 years after the Emancipation Proclamation. DARK MONEY is written in straightforward and largely unemotional prose, but it reads as if conceived in quiet anger. Mayer believes that the Koch brothers and a small number of allied plutocrats have essentially hijacked American democracy, using their money not just to compete with their political adversaries, but to drown them out. It emerges as an impressively reported and well-documented work. The importance of DARK MONEY flows from its scope and perspective. It is not easy to uncover the inner workings of an essentially secretive political establishment. Mayer has come as close to doing it as anyone is likely to come anytime soon. FREEDOM IS A CONSTANT STRUGGLE is an incisive, urgent, and comprehensive understanding of systematic racism, the grounds for intersectional analysis and solidarity, and the importance of working together as equals to unmask and depose systems of injustice. This wide-ranging and brilliant set of essays includes a trenchant analysis of police violence against people of color, of the systematic incarceration of black people in America, the grounds of Palestinian solidarity for the Left, the affirmation of transgender inclusion, and the necessity of opposing the G4S corporation and its high-profit empire dedicated to the institutionalization of racism in the name of security. BEAUTIFUL TROUBLE brings together dozens of seasoned artists and activists from around the world to distill their best practices into a toolbox for creative action. Sophisticated enough for veteran activists, accessible enough for newbies, this compendium of troublemaking wisdom is a must-have for aspiring changemakers. Showcasing the synergies between artistic imagination and shrewd political strategy, Beautiful Trouble is for everyone who longs for a more beautiful, more just, more livable world – and wants to know how to get there. RULES FOR RADICALS is Saul Alinsky's impassioned counsel to young radicals on how to effect constructive social change and know “the difference between being a realistic radical and being a rhetorical one.” Written in the midst of radical political developments whose direction Alinsky was one of the first to question, this volume exhibits his style at its best. Like Thomas Paine before him, Alinsky was able to combine, both in his person and his writing, the intensity of political engagement with an absolute insistence on rational political discourse and adherence to the American democratic tradition. WHAT WE DO NOW is a collection of passionate manifestos by some of the country's leading progressives, aims to provide a blueprint for how those stunned progressives can move forward. 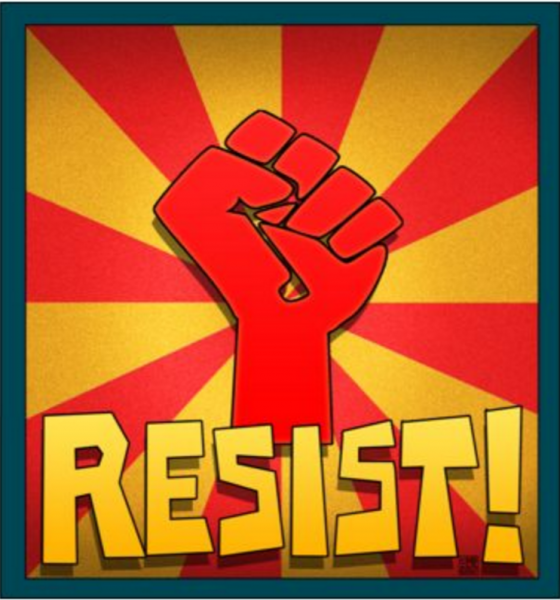 Its powerful contributions -- from economists, environmentalists, activists, artists, politicians, and novelists -- will offer encouragement and guidance to practicing constitutionally protected acts of resistance throughout the unprecedented upcoming administration. THE TRUMP SURVIVAL GUIDE, by Gene Stone, offers invaluable guidance and concrete solutions they can use to make a difference in this serious call-to-arms—showing them how to move from anger and despair to activism as the Trump presidency is in full swing and he signs one executive order after another. While marches and social media are important forms of protest, concrete actions achieve real change. Positive and reinforcing, The Trump Survival Guide presents the essential information we need to effectively make our voices heard and our power felt.